The socket type is the main characteristic of computer processors. 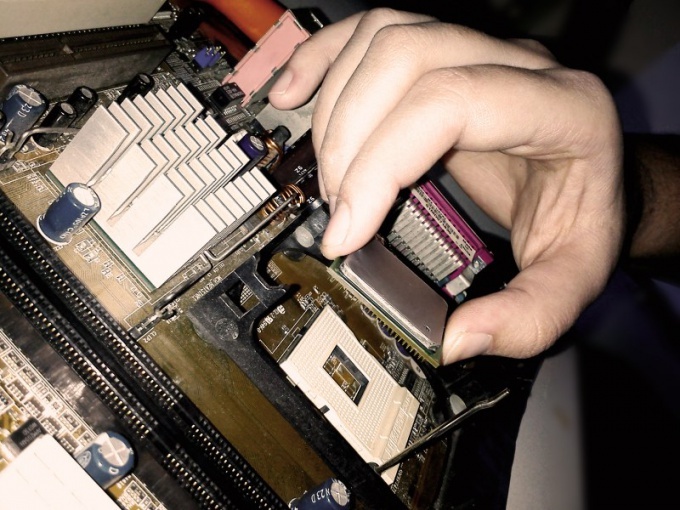 It was under his chosen motherboard that needs to have the appropriate socket for the processor. The socket". socket) connector on the motherboard that holds the processor. Different types of sockets different from each other by size, number and type of contacts and type of mounts for CPU coolers (fans). All sockets can be divided into groups: Intel and AMD. These companies have different manufacturing standards, motherboards and processors, so the socket data producers also have significant technical differences. In the marking of the socket are its main characteristics needed in order to determine which motherboard will fit this processor. For example, an Intel Pentium 4 processor has a socket type LGA 775. The last number indicates the number of contacts, and the letters indicate that this type of processor has no pins - they are in the motherboard. LGA (eng. Land Grid Array) is a type of chip with a matrix of contact pads instead of pins. Therefore, the lack in the marking of CPU abbreviation LGA says that the processor has contact pins. If you want to build a computer and choose the processor, labelling can easily determine which socket should be the motherboard. For example, for installation in the socket LGA 775 is designed following Intel processors: Pentium D, Celeron D, Core 2 Duo, Core 2 Extreme, Pentium EE, Celeron, Xeon 3000 and Core 2 Quad. For socket LGA 1156 fit processors: Core i7, Core i5 and Core i3. And the LGA 1366 socket designed for the Core i7. Manufacturer AMD releases the Athlon under the following socket types: 462, 563, 754, 939. As can be seen from the labeling, the Athlon processor has contact pins. New CPU models are usually not suitable for motherboards that were released more than five years ago. Therefore, when buying a new processor you will most likely have to change the motherboard. Intel sockets released since 2011, labelled LGA 1155. Sockets 2013 and 2014 are marked LGA 1150. And sockets LGA 775, LGA 1366 and LGA 1156 have become obsolete. The AMD Athlon is much cheaper than Intel with same clock frequency. However, the advantage of Intel is the low energy consumption and low heat output. Due to this, the company's products more reliable and durable.